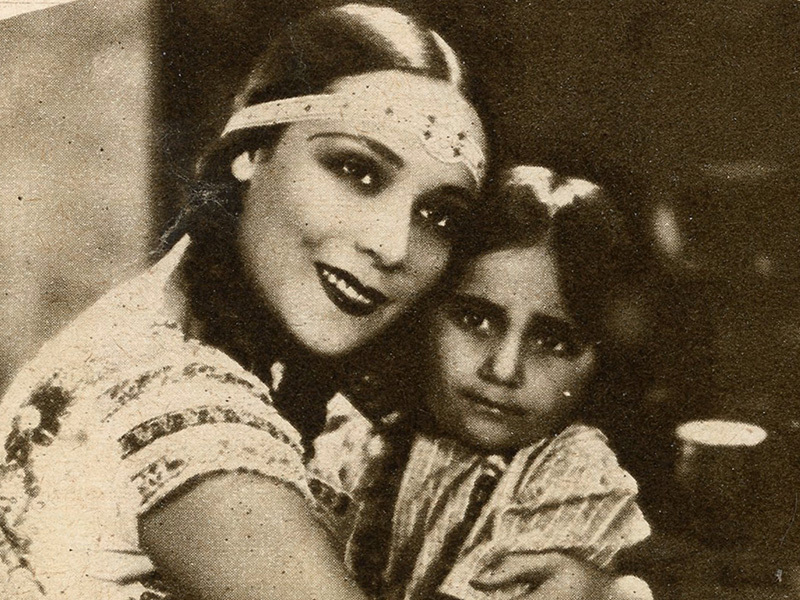 SCVHistory.com LW3057 | Film-Arts | Dolores del Rio in 'The Red Dance' (Fox 1928). A rare keybook photo showing Dolores del Rio in "The Red Dance" (Fox 1928), directed by Raoul Walsh and co-starring Charles Farrell and Ivan Linow. Del Rio portrays a Russian peasant girl who is caught in a tragic love triangle; "Red" in the title refers to the Bolshevik Revolution. 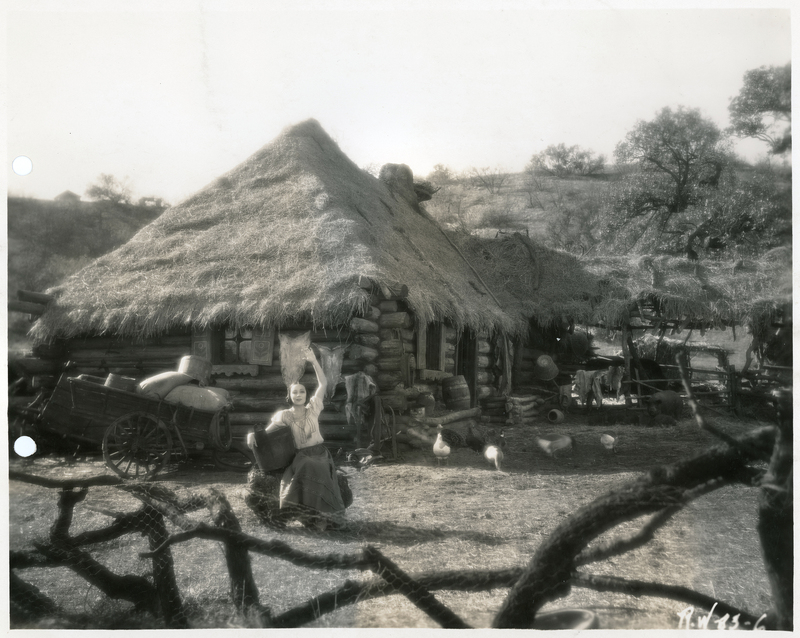 Note: This keybook photo was sold by a vendor as a scene from Edwin Carewe's "Ramona," which was also released in 1928, and it is somewhat reminiscent of Ramona and Allesandro's cabin in that film. But expert Hugh Munro Neely pointed out (2017) that it is actually from "The Red Dance." We don't know of a Santa Clarita Valley connection to "The Red Dance," which was partially filmed in Truckee, Calif., and probably on the Fox lot in Hollywood. LW3057: 9600 dpi jpeg from original photograph purchased 2017 by Leon Worden.